Our exclusive free resume templates are royalty free for personal projects. You can use free resume templates for your personal uses, not for commercial uses. You can edit, modify and share our free resume templates. 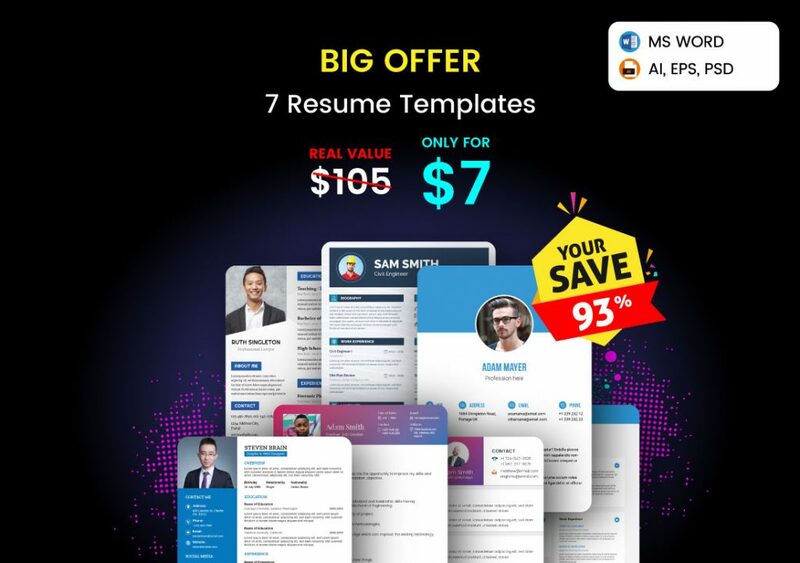 If you would like to share our resume templates on your website, you must have to link back to the specific resource page on Resummme where visitors can find details and download links and not directly to the download file. You cannot redistribute(even for free), resell, lease, license, sub-license or offer our resources to any third party. This includes uploading our resources to another website, marketplace or media-sharing tools. You can use premium resume templates for your personal uses, not for commercial uses. You can edit, modify and use the unlimited number of times. You cannot redistribute, resell, lease, license, sub-license or offer our resources to any third party. This includes uploading our resources to another website, marketplace or media-sharing tools. Some third-party images and logo used in our resume presentation only for preview, all rights belong to their respective owners. These files are not included in the main design.